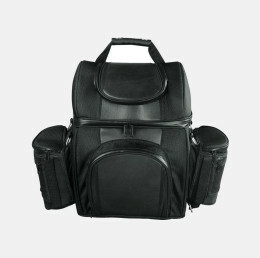 Deluxe Travel Bag -The Ultimate C ompact Travel System-Sissy Bar Bag/Back seat/ Backpack C ombo. 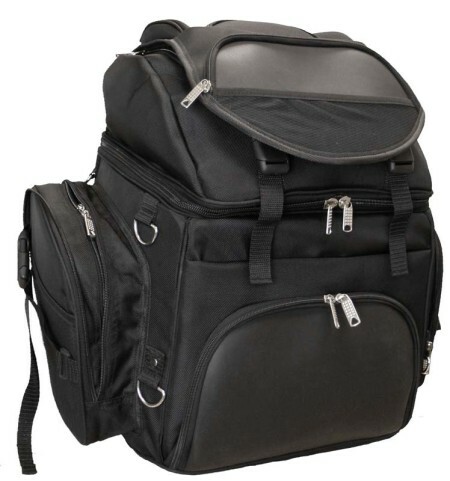 Ultra fast, the durable mounting system with a fully adjustable sissy bar strap rig that easily attaches your travel bag to your luggage rack or sissy bar. 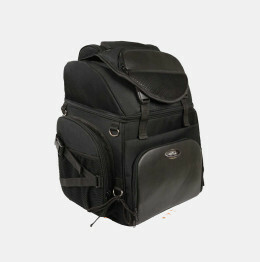 A Strong Durable blend of heavy thread fabric with a rigid structure maintains bag shape. Padded backrest for the passenger or the driver. Easy, spacious top-loading compartment can hold a helmet & more. 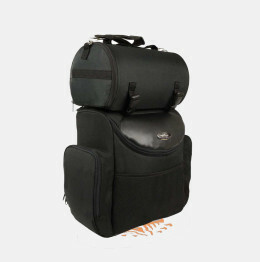 Large top-loading main compartment for more luggage & accessories. 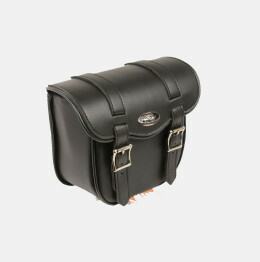 Padded storage compartment inside the main compartment easily stores and protects your laptop or other fragile valuables.